SpiceJet shares surged over 13 per cent while InterGlobe Aviation, parent of IndiGo, hit its new all-time highon the expectation of higher yield due to the capacity reduction of Jet Airways. According to media reports, SpiceJet and IndiGo will add close to 50 aircraft over the next few months to fill up the capacity shortage caused by the crisis in Jet Airways as well as the grounding of Boeing 737 Max planes. SpiceJet has surged 13.28 per cent to Rs 135.10, soaring over 40 per cent in the past four trading sessions, on the back of a slew of positive news flow. The stock was trading close to its 52-week high level of Rs 139 touched on April 18, 2018, on the BSE in intra-day trade. SpiceJet, on Tuesday, said it will add five 90-seater Q400 aircraft taking its Bombardier fleet size to 32. Three of these planes will join SpiceJet’s fleet in the next 10 days while the remaining two will be inducted by June. The airline had last week announced the induction of 16 Boeing 737-800 NG aircraft on dry lease. 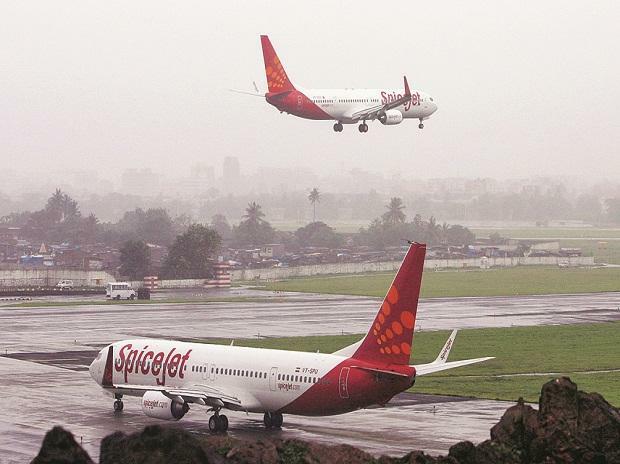 “The sudden reduction of aviation capacity should in no way hamper air connectivity to the smaller towns and cities of India and as the country’s largest regional operator, SpiceJet will make all possible efforts in this direction,” Ajay Singh, Chairman and Managing Director, SpiceJet, said. As for IndiGo, the stock was up 8 per cent to its new all-time high of Rs 1,592.60 on the BSE in intra-day deal on Tuesday after surpassing its previous high level of Rs 1,520, hit on April 20, 2018. In the past one week, shares of SpiceJet (33 per cent) and IndiGo (up 8 per cent) have outperformed the Sensex, which rose 1 per cent. In comparison, Jet Airways was down 6 per cent during the period. Analysts at Elara Capital expect a 4 per cent year-on-year (YoY) yield increase for IndiGo and by 2 per cent YoY for SpiceJet due to capacity reduction of Jet Airways. Indigo would benefit more than SpiceJet over the fares increase, as it has more exposure to the metro routes where fares have gone up sharply, owing to Jet Airways financial woes. The brokerage firm reiterates SpiceJet as the top pick in the aviation sector, due to little competition in regional routes and strong fleet order book. SpiceJet is better placed to hire outgoing Jet Airways pilots, as both carriers are flying similar Boeing-737 aircraft in domestic routes, it said.